BOND has completed its first diversity and learning course as a new initiative based in Providence, Rhode Island. Building Division Project Executive, Kim Silvestri, shares ideas on raising awareness on the business side of the field, provides advice on how to win work and highlights the two-way benefit of the program. The idea of giving back where we live and work is a core value followed in most respected companies today, including BOND. 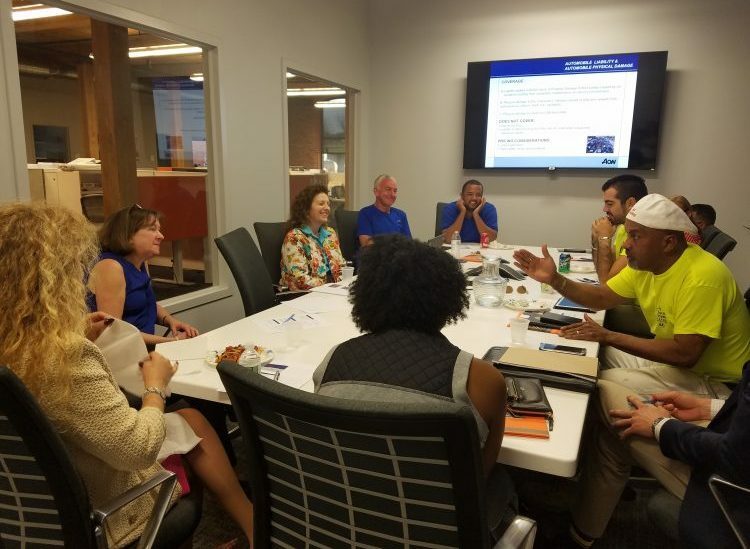 What’s different about a new education and economic advancement initiative underway in our Providence office is that we are learning just as much as the student participants. 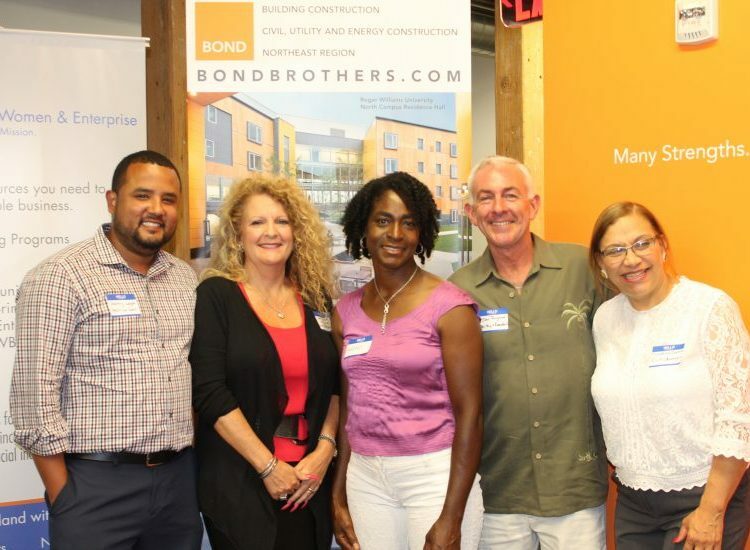 The program, called the BOND-PLX or Professional Learning Exchange, is an eight session forum for women and minority entrepreneurs interested in doing business in the construction industry. 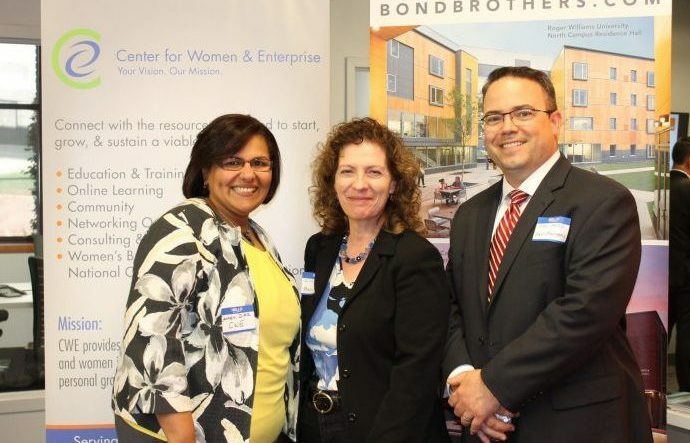 BOND-PLX was developed in partnership with the Center for Women and Enterprise (CWE), a nationally known nonprofit organization dedicated to helping people start and grow their businesses. The original intent when we launched the idea was to share practical skills in areas including financial management, safety training, project procurement, and construction technology. Raising awareness of the business side of our field and providing advice and direction on how to win work as a subcontractor or specialty consultant was what we hoped to accomplish. What surprised us was the incredible feedback and knowledge we gained. We began planning the program by hosting a focus group and asking questions. What are the biggest challenges you face? What do you need to know to be more competitive and informed? From the very start of this discussion, and over the course of the eight classes, we gained unexpected insights on the skill sets and opportunity barriers experienced by the forum participants. During my career, I was fortunate enough to have mentors and experienced advisors helping me to learn the ropes and advance. For me, taking on a mentoring and leadership role in BOND-PLX is another opportunity to pay forward what so many others did for me. We are off to a strong start having completed our first series, and I am looking forward to seeing what great things are ahead for this group and their businesses. We are currently gearing up for a new BOND-PLX course starting this winter. If you are interested in participating, please contact me: 401.429.0810 | ksilvestri@bondbrothers.com. Kim applies her 20+ years of construction industry experience, specializing in the strategic planning and management of large-scale healthcare projects. With prior experience as a hospital administrator for a large health system and as a construction project manager for a large CM firm, she has an extensive skillset and a unique perspective that offers valuable insight to BOND's clients. She has management experience and management expertise in space planning, preconstruction, logistics, phasing and project organization.